The Macaw Cage is the largest cage in our range. It measures 2,000 in height, 6,000 in length and is 1,800 wide. 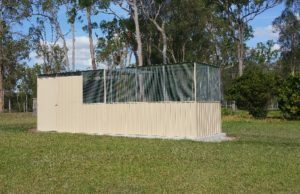 This cage has heavy duty mesh and is designed for larger birds such as Amazons or Macaws. However it also makes an ideal flight cage for any species, that are not currently breeding. Please contact us for colour range.